‘Marie’ Is the First Life-Sized, 3D-Printed Human Body « Adafruit Industries – Makers, hackers, artists, designers and engineers! 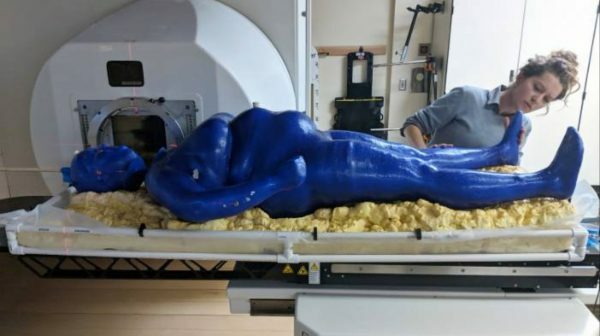 Meet Marie, the very first life-sized 3D-printed human body made from bioplastic, developed by LSU engineering student Meagan Moore to test real-time radiation exposure and figure out optimal radiation therapy dosing for treating conditions like cancer. According to an LSU press release, Marie is five-foot-one-inch tall and weighs 15 pounds. She also has a detachable head, and a 36-gallon water storage capacity for up to eight hours.